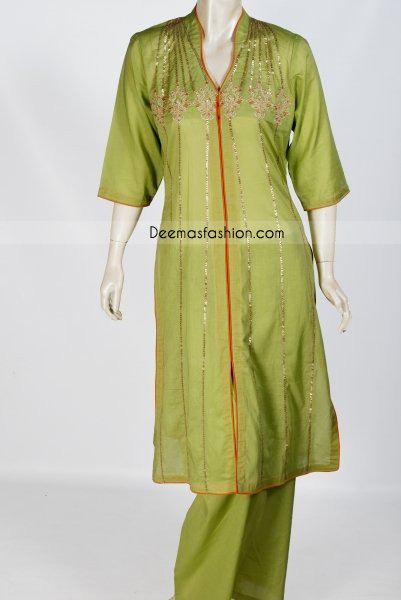 Tags: Casual, Front Open, Green, Mehndi Mayon Henna, Straight Trouser. Top: Green pure chiffon shirt having delicate floral embroidery on bodice. Stand collar with V front on neck. Button finishing with piping. Split front hem. Embroidered sequin lines on all over front Fully lined. Bottom: Green plain crepe silk straight trousers.